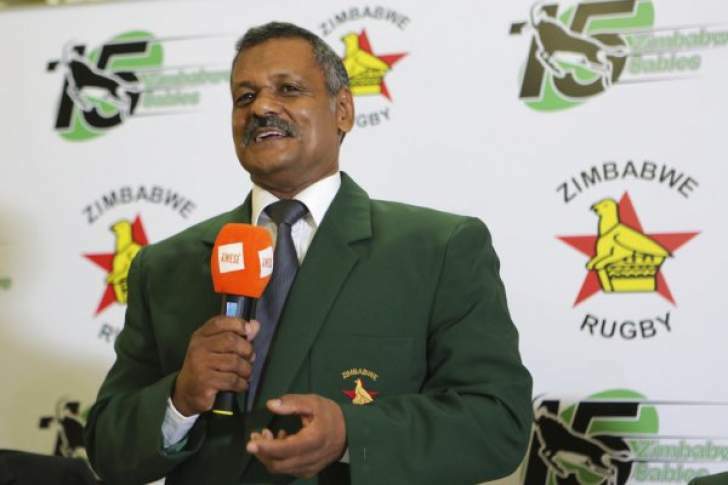 IT was certainly one of the more surprising appointments of 2018 when Peter De Villiers was announced as Zimbabwe's new head coach in February. His considerable task is to guide the country to their first Rugby World Cup since 1991 and only their third overall. De Villiers hasn't coached internationally since 2011, when South Africa were beaten at the quarter-final stage of the World Cup by Australia. But his pedigree is without question, he won a Test series against the British and Irish Lions 2-1 in 2009, along with the Tri-Nations title the same year, beating the All Blacks three times. One of the biggest challenges De Villiers faces with Zimbabwe is to expand the pool of players available to him. But it's not at the top table where De Villiers can dine when it comes to recruiting talent; one of those called up is England-based player Dylan Baptista, a winger who plays for Tottonians in the London 1 South league – the sixth tier of English rugby. Another is South African-born Johan Stander, who plies his trade for Cape Town club side, False Bay. There is an Irish flavour too, Brian du Toit was in the Ireland Club international squad in 2016 while playing for Dublin University and is called up by Zimbabwe for the first time. His older brother Peter du Toit is a former Ireland Under 20 scrum-half, who was on the books at Leinster and won All Ireland League titles with Clontarf in 2014 and 2016 - the second of which was alongside Ireland Grand Slam winner Joey Carbery. He's already earned senior honours for Zimbabwe and was part of the team which failed to reach the 2015 World Cup and is back again for his second attempt to qualify. They're eligible to play for the Sables because of a Zimbabwean father, but have lived in Ireland from a young age. De Villers will get a chance to assess his eclectic collection of players today when a Zimbabwean invitational side called Zambezi Steelers, which also features former All Blacks forward Rodney So'oialo, faces South Africa's Blue Bulls in Harare in an exhibition match. "A lot of excitement in me, we just finished our final preparation for our first game. I can't wait to get to the field, with all this trust in the players. I am looking to see them going on the field and showcase their talent," said De Villiers. De Villiers used the match against Zambezi Steelers on Saturday to prepare for the Africa Gold Cup, which acts as a qualifying tournament for the 2019 World Cup. There are six teams vying for the Gold Cup title, Zimbabwe, reigning champions Namibia, 2017 runners-up Kenya, Tunisia, Uganda and Morocco, the winners of the Silver Cup. Zimbabwe start the tournament with a match against Morocco on June 16. Last year Zimbabwe had a disastrous Africa Gold Cup, registering just one win, against Senegal, and slumping to defeats to Namibia, Kenya, Uganda and Tunisia. A drastic turnaround in fortunes is required in order to reach Japan, as only the champions advance. Zimbabwe's biggest threat is likely to come from Namibia, who have qualified for the last four Rugby World Cups and are coached by the experienced Phil Davies, the Welshman who as director of rugby took Leeds RFC from National League Division Four to the Premiership and playing in Heineken Cup. There is an added incentive for De Villiers to reach the World Cup as the Africa 1 winners would come up against South Africa and the All Blacks in Pool B, along with Italy and the Repechage winner. De Villiers won't be looking that far ahead yet, he has immediate issues to address.